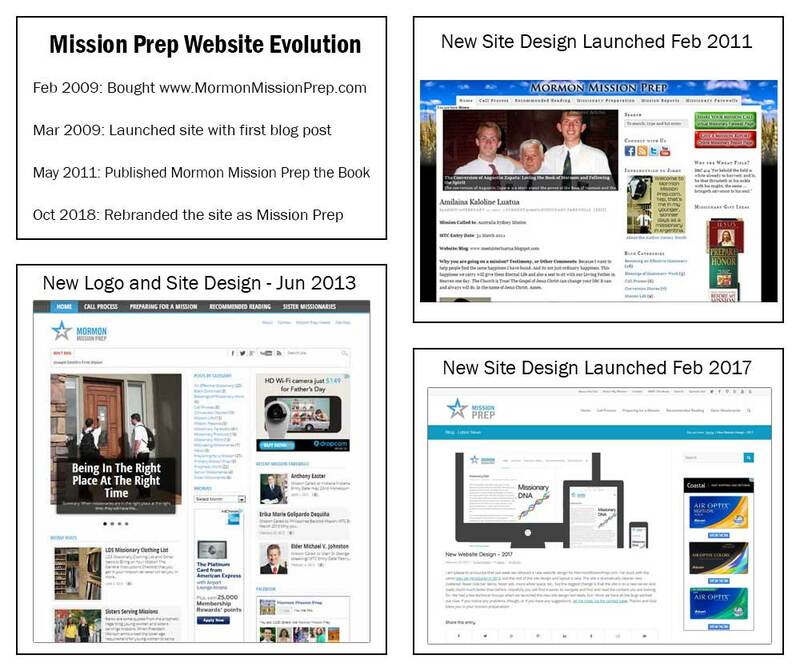 Summary: At the ten year anniversary of the Mission Prep website, I thought it was a good time to reflect on the history of the site, the blessings that have come to me and others through the site, and what the future may hold. 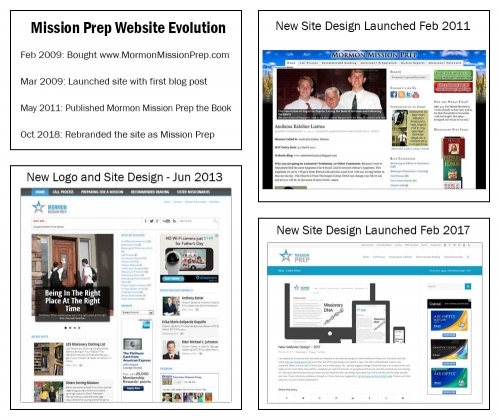 It was March 1, 2009, 10 years ago from my writing today, that I launched the Mission Prep website. The idea to start this website actually came to me a year and a half prior to that. It was late 2007 and I was living in Memphis, Tennessee, and I had just accepted a job as the new Web Analytics Product Manager for The Church of Jesus Christ of Latter-day Saints. I was to start my new job in January 2008 with the IT department of the Church and I was really looking forward to it. My new job would entail analyzing the data regarding traffic to all Church websites and making reports and recommendations for improvement. As I was preparing to move to Utah, I wanted to hit the ground running in my new job and I spent a lot of time looking at the Church’s web presence. For some reason, it stood out to me at that time that there were little to no online resources specifically for young men and women preparing to serve a full-time mission. As I contemplated what online resources could help future missionaries, my mind was drawn back to my own mission as a young man to Rosario, Argentina. I remembered fondly, and still do, my time as a missionary, and I felt my mission had been successful, both in terms of helping many people come unto Christ through the waters of baptism, as well as the blessings I personally received, temporally and spiritually. I felt like I had something to share to help future missionaries be better prepared to have a successful full-time mission. I began to feel a vision coming to my mind and heart of what a mission preparation website might contain, and I wondered if my new job at the Church might lead to opportunities to help build such a website for the Church. With the craziness of moving my family across the country and starting a new job, I put the mission prep website toward the back of my mind. I did, though, keep my eye open for opportunities to pitch the idea to official Church website representatives during my first year of working for the Church. But when it was clear that nothing was going to develop along that front, in early 2009, I again felt urged by the Spirit of God that a mission preparation website needed to be created. The thought came to my mind that if the Church wasn’t going to build it, then I needed to do so. 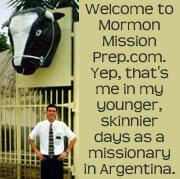 I acted on the prompting and immediately bought the domain name, MormonMissionPrep.com. I had no idea if I could run a popular or successful website, but I thought I’d give it a try. 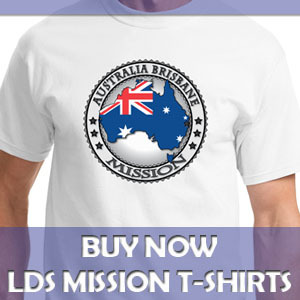 And if nothing else, I thought, writing about my mission and documenting my missionary preparation advice could be of benefit to my children as they grew older and prepared to serve the Lord. The site, I thought, could also serve as a sort of sand box, or testing ground, for me to hone and improve my digital marketing, web analytics, and search engine optimization (SEO) skills. I had tons of ideas of things to talk about on the website, and I looked forward to giving my advice and sharing the stories from my mission, particularly stories that led to the conversion of families to the restored gospel of Jesus Christ. As a professional in the digital marketing and SEO field, I also started researching topics that could be discussed on the website by doing keyword research. I found people were searching for information on how to do missionary work, how to become an effective missionary, and what young people can do to be preparing for a mission now. So that’s what I wrote about. As I operated the site in the first year, I got lots of comments and questions from visitors, and I realized that as much help youth needed in preparing spiritually, they wanted even more help navigating the temporal aspects of mission prep. I was flooded with questions about how much a mission costs, requirements to serve a mission, how to fill out a mission application form, the timeline for submitting the mission paperwork, and tons of other questions about the mission call process. Additionally, I got many questions from young people about the repentance process, how to get courage to confess sins to the bishop, and how to clear up past transgressions like law of chastity violations so they could be worthy to serve a mission. So again, that’s what I wrote about. I added a social media presence for Mission Prep on YouTube, Facebook, and elsewhere. I posted videos, made infographics, and shared stories about missionaries. The site grew slowly but steadily. Within a year, I had several thousand people coming to the site each month. And a year after that, the site had doubled traffic again. So popular was the site that I tried my hand at writing a book on the topic of mission preparation. It was moderately successful and I hope to have time to make a revised edition of it some day. The site reached it’s peak in traffic in late 2012 and 2013 after the announcement was made by the Church lowering the age requirement for missionaries. After that ground swell died down, the traffic leveled off to roughly were it is today–a popular destination for thousands of people a month, youth, parents, and leaders of future missionaries, to get practical tips on all things related to spiritual and temporal missionary preparation. I guess one of the things I am most surprised at now is that after ten years, I haven’t run out of new things to post to the site and there doesn’t appear to be a shortage of new topics for the foreseeable future. I wish I had more time to write articles for the website, but I am super busy with a large family, full-time work, and Church callings. When I started the site, I had three kids and now I have six, which as it turns out is exponentially more work, not just double. 🙂 Of course I love my family and they are my top priority, which is why I am not able to write more often. I do, though, offer this site as a place for you in the community to offer your mission prep advice to the future generation. Go see my page of guest post opportunities on Mission Prep if you’d like to publish an article here. As my kids get older and begin to leave the house, I hope to have more time to dedicate to this site. In the meantime, I’ll plug along posting articles, answering visitors’ questions, and making updates as often as I can. I have been richly blessed by running the website and by pondering frequently on one of our core duties as disciples of Jesus to share his gospel with the world. I had a prompting from the Spirit of God and I followed it. I didn’t realize at the time how it would affect my life so dramatically, consuming so much time and energy, but it has and I have grown from the experience. Hopefully this website has also been a great benefit to the thousands of readers who have come across the Mission Prep site and will do so in the future. May God bless and be with you all as you prepare yourselves to go and serve the Lord and your fellow beings as full time missionaries for The Church of Jesus Christ of Latter-day Saints.